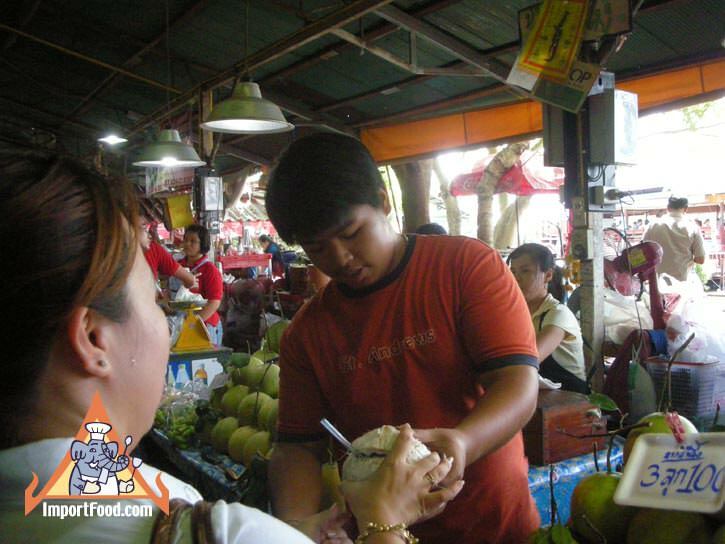 It seems everyone is now talking about the health benefits of fresh coconut juice, and lots of companies are putting their brand on bottled versions. 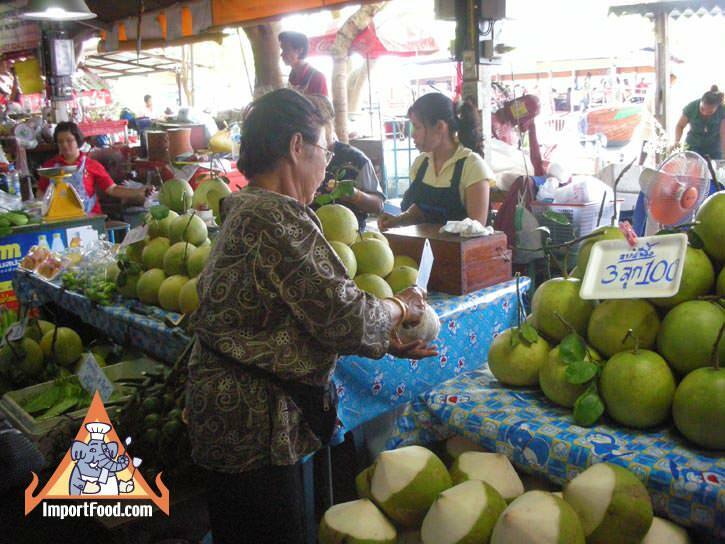 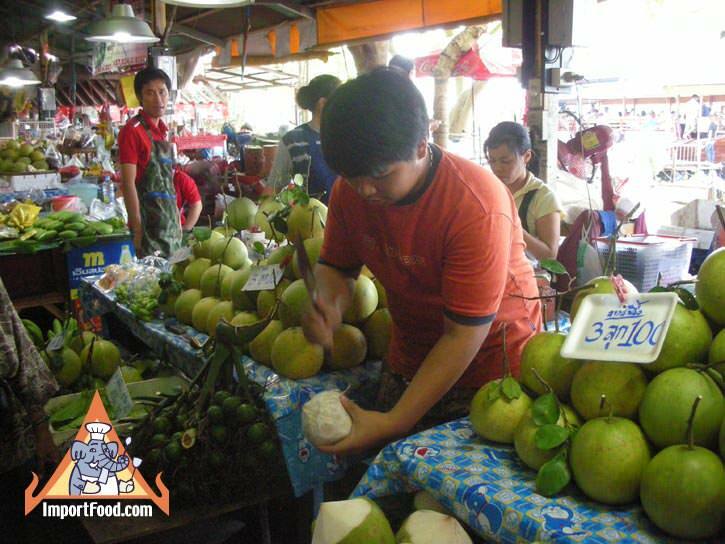 It's well known that the best coconuts in the world are grown in Thailand, and on streets & markets across the country you'll find vendors like this. 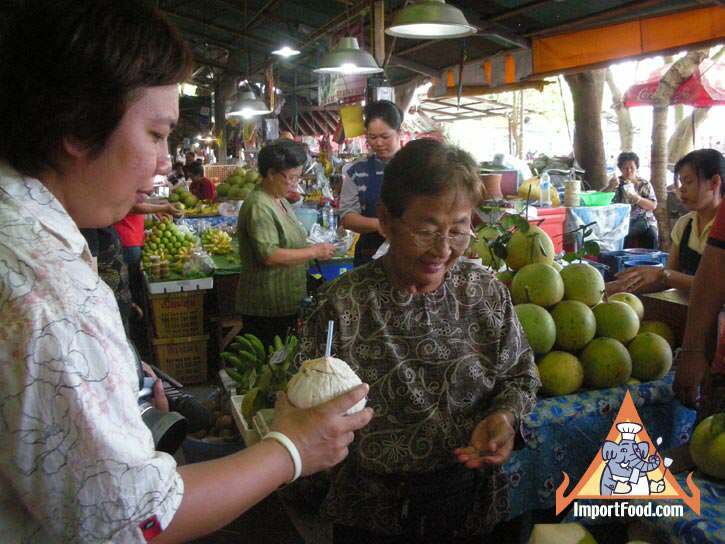 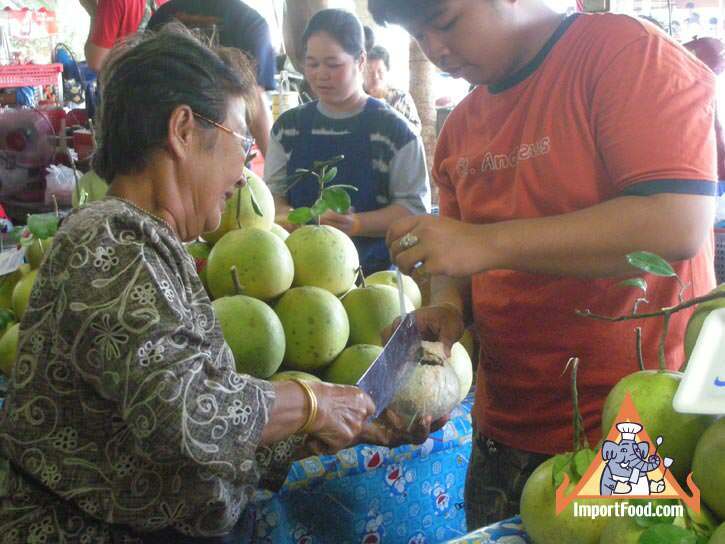 Pick your own coconut, they crack it open on the spot, insert a straw, and serve it fresh with a smile.